Thanks to all members that turned up and braved the rains that poured down on us all day. Rivers and ponds covered the fairways and greens but some great scores were posted under difficult conditions. 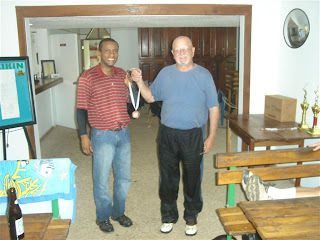 Here are the results for the November 2010 BAGA competition. Las Vegas Unofficial '"2" score side bet. Ray Garbutt with a 2 on the first hole. Sinking a 25 footer up the hill. Congratulations to all our winners. Photos of our winners are below. Our Christmas Tournament will be held on December 4th, 2010 @ 8:30 a.m. sharp. All members are asked to be present at least 30 min. prior to tee time for group placement and review of rules and regulations. 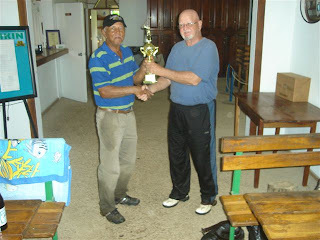 Our Match Play Tournament is scheduled for December 12th, 2010 @ 8:30 a.m. sharp. Matches will be posted up on the Association's web page by Friday, November 26th. If anyone has suggestions our comments, please forward to the Association's e-mail address as these will be included in the agenda for our annual general meeting and elections of officers. The B.A.G.A. 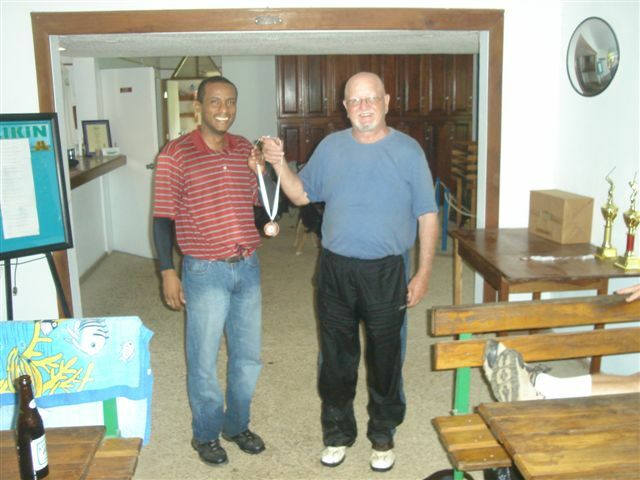 will have it's annual general meeting and elections of officers on December 4th, 2010 immediately following the Christmas Tournament. We look forward for early confimation from all members for both tournaments scheduled in December, as it is very important that matches be posted on our webpage. Andy Hunt Winner of the Gross Competition and third in the Net. 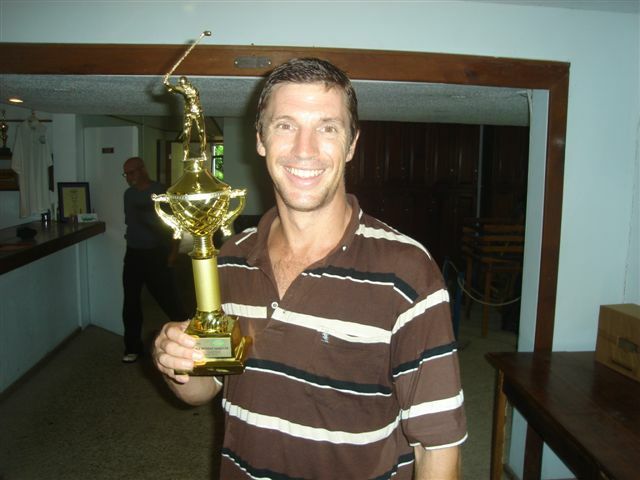 Ryan Garbutt, second in the Gross Competition and second in the net competition. 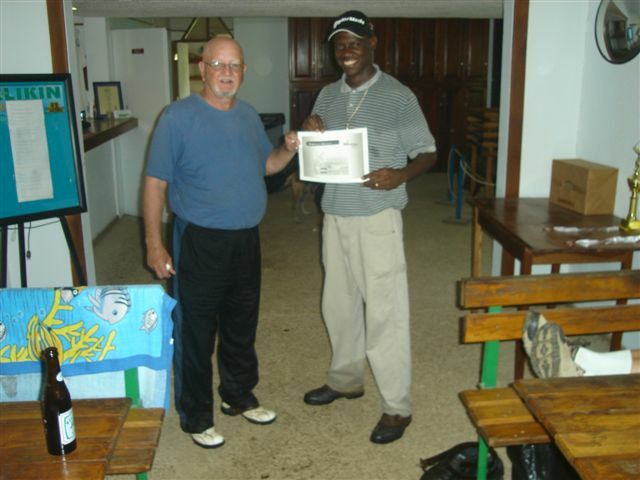 Ray Garbutt Sr, winner of the net competition and first place in the Las Vegas "2" score side bet. It is an offence to post sexually explicit or just plain ugly pictures. who is this mysteriously eloquent blog commentator? Sounds like a voice from the South! !